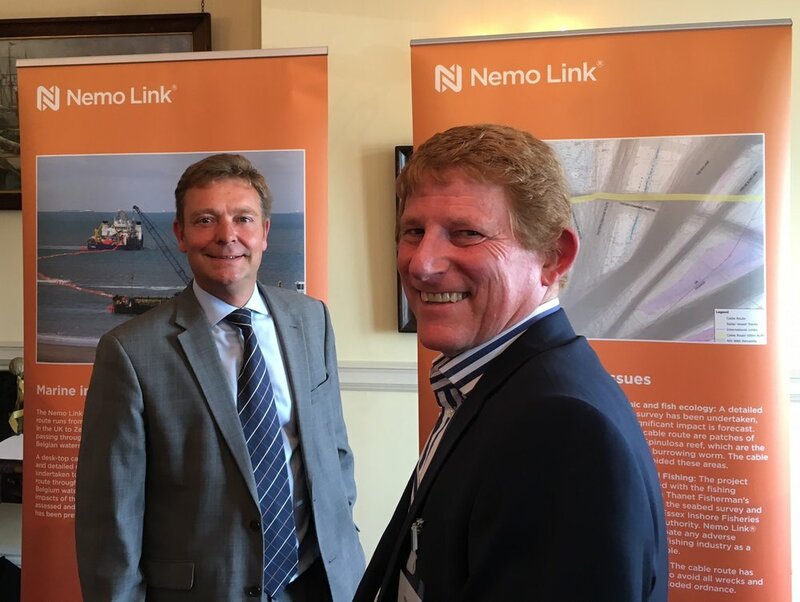 On Thursday, 17 August, at a meeting at the Royal Temple Yacht Club, South Thanet’s Member of Parliament, Craig Mackinlay MP, was updated on the construction progress of the Nemo Link interconnector, a subsea electricity connection between the UK and Belgium. The project received outline planning permission from Thanet and Dover District Councils in December 2013. Since then Nemo Link have been busy working on the construction of the UK converter station and electricity substation, as well as laying cables between the converter station site at Richborough and Pegwell Bay, through the country park. During the next phase of the work Nemo Link will start the submarine cable installation. Nemo Link is due to be operational in 2019 and, the company claims, will help to ensure a safe, secure and affordable energy supply between the UK and the European network. Survey and investigation works were undertaken to assess the safety of the cable route - ensuring it is clear of obstruction and will not impact upon any artefacts of archaeological importance. This work uncovered a number of items of archaeological interest and unexploded ordinance that Nemo Link displayed information about, alongside their project update. “I was pleased to examine the presentation by the Nemo project, the electricity interconnector with capacity to bring in 1 GW (about a 60th of peak UK demand) of electricity from Belgium via a 95 mile long cable to be laid on the bed of the North Sea, landing UK-side at Richborough.